Rescued June 26, 2013 Rain came from Rockingham county near the North Carolina-Virginia border. We received a phone call from an individual who had taken her out of an abusive situation. After seeing a photo of the poor mare we agreed to take it in. 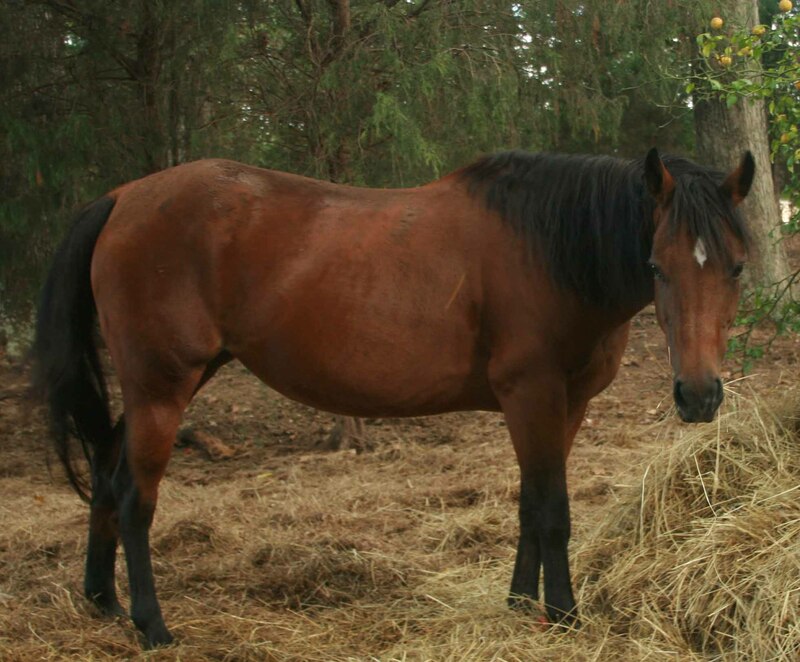 We were surprised to see that it was the same mare another individual had called us about earlier in the year. Being near Virginia, it is too far for us to conduct an animal abuse investigation and work with the owners so we often advise the callers to contact the local authorities. Often owners will do nothing unless they are given an ultimatum by the sheriff department or animal control. Animal control had been to the home numerous times. The owners none of whom were employed had zillions of excuses for the condition of the poor mare while being unable to care for the numerous puppies and unsprayed dogs on their property. It is our understanding that they had been given the ultimatum to handle the situation within 10 days or face charges. Luckily for the mare, the owners allowed this kind individual to step in rather than try to hide the horse. Rain was a 1 on the Hennecke scale. 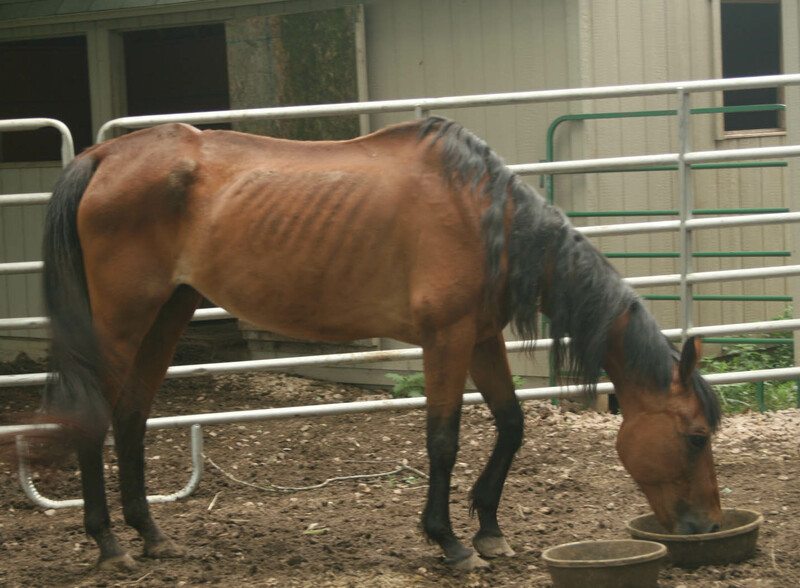 The poor mare is only 8 years old and had not had farrier care in over a year. We have put weight back on her but are now facing the aftermath of poor nutrition and lack of hoof care by combatting holes in both of her front hooves. She can barely stand on one hoof to allow the other to be wrapped due to the pain. Our feeders work tirelessly and refuse to give up by making sure her hooves are cleaned, doctored and wrapped so the holes in her soles may heal. It takes a year to grow a new hoof so her recover may be longer.